Kanga is a brand name of a polyurethane foam cushion that is attached to a carpet. It is similar to the old "rubber-back" style of carpet, although it is actually a much better product due to the quality of the foam. The Kanga line of attached carpet cushions is made by Textile Rubber & Chemical Company (TRCC), based out of Dalton, Georgia. In addition to manufacturing carpet cushion, the company manufactures a large number of other products, including shoe insoles, compounds for carpet and carpet tiles, and floor covering adhesives. Kanga cushions are sold to carpet mills and can be attached to the manufacturers’ own carpets. Kanga cushions can be attached to a wide variety of carpet styles, including Berber, cut pile, and cut and loop. There are three qualities of Kanga cushions available: Kanga-Back, Kanga-Hyde, and Kanga-Gold. Kanga-Back is the basic Kanga cushion. It is generally attached to lower-end saxonies and Berbers. It provides a cushy feel to walk on, but that feeling will likely not last too long, as the foam is a low density and will compact under heavy or prolonged traffic. Kanga-Hyde has a much firmer feel than the Kanga-Back cushion. It is a higher density foam, so it provides improved performance and longevity. Kanga-Hyde is most often attached to Berbers and commercial-style looped carpets. As the name suggests, Kanga-Gold is the highest grade offered in the Kanga line of attached cushions. It features a seven-pound density, and, according to TRCC, is specifically made for attachment to better quality carpets. Overall, the Kanga cushions and the carpets attached to them will perform best in low-traffic settings or in situations in which the carpet is only required for a relatively short period of time. 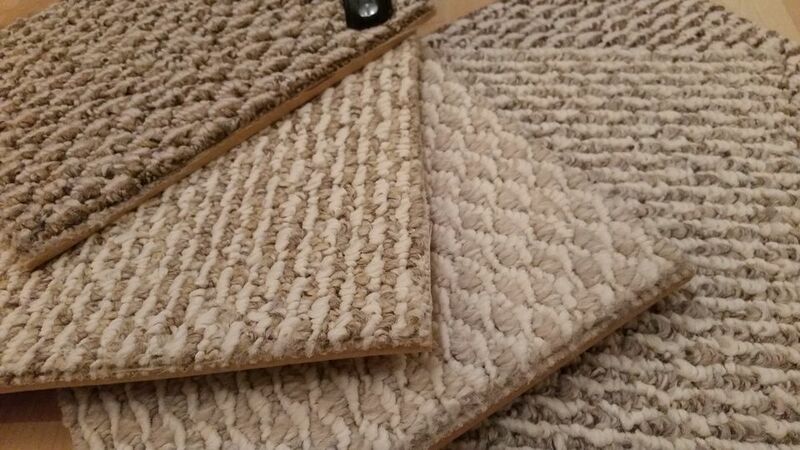 Even the Kanga-Gold line of cushion does not compare to a regular underpad installed under a carpet. In terms of a regular detached foam cushion, seven pounds of density would be considered by many as a mid-grade quality of underpad with ‘premium’ qualities starting at a minimum of eight pounds. Despite not being a highly durable carpet and pad combination, Kanga is a good choice for specific uses – namely, as mentioned above, low-traffic areas or short-term purposes. There are several instances in which Kanga is a great solution that follows below. Just don’t expect to install it on your stairs and still have it look as good as new in 10 years. Residential rental units are a perfect example of a great use for Kanga, whether purchased by the tenant or by the landlord. Kanga is a fairly low-cost option, which is nice for landlords since they can never be sure how careful a tenant will be to preserve the carpet. Tenants will appreciate the “no install” option which means that when their lease is up, they can roll up the carpet and take it with them. Because Kanga cushion is made of polyurethane foam, it is resistant to mold and mildew, making it an excellent choice for basements that could be prone to moisture issues (unlike the old rubber-backed carpets, which had foam rubber cushions attached – rubber and moisture do not mix). Being made out of a polyurethane foam, carpets with attached Kanga cushions are much better than the carpets with rubber backings that became so popular in the 1970s. Anyone who has ever had to pull up a rubber-backed carpet has likely had one of two things happen: either the rubber backing has been so completely stuck to the subfloor that hours of scraping are required to remove it, or the carpet is so old that the rubber backing has disintegrated to nothing more than powder. Neither of these scenarios makes rubber-backed carpet very appealing. Kanga cushions are different. They won’t break down over time, so that means that the backing won't to stick to the subfloor and won't disintegrate. They are much more flexible. To see for yourself the difference, take a sample of a Kanga-backed carpet, and fold it as tightly as you can; the cushion will not crack or crumble. One of the biggest advantages of Kanga carpets is that they often don't even need to be installed, at least not in the traditional sense. In many cases, Kanga-Back carpets can simply be laid down over the subfloor, cut to fit, and tucked under the baseboard trim. Kanga-backed carpets are not high quality. They will not stand up to high traffic or prolonged wear. However, if you know what to expect from a Kanga, you will most likely be happy with it. Kanga is a good option for low-traffic areas, short-term uses, and easy DIY projects. It serves a distinct purpose and can be the perfect solution for specific carpet needs.